My Notting Hill: Happy Valentine's Day! 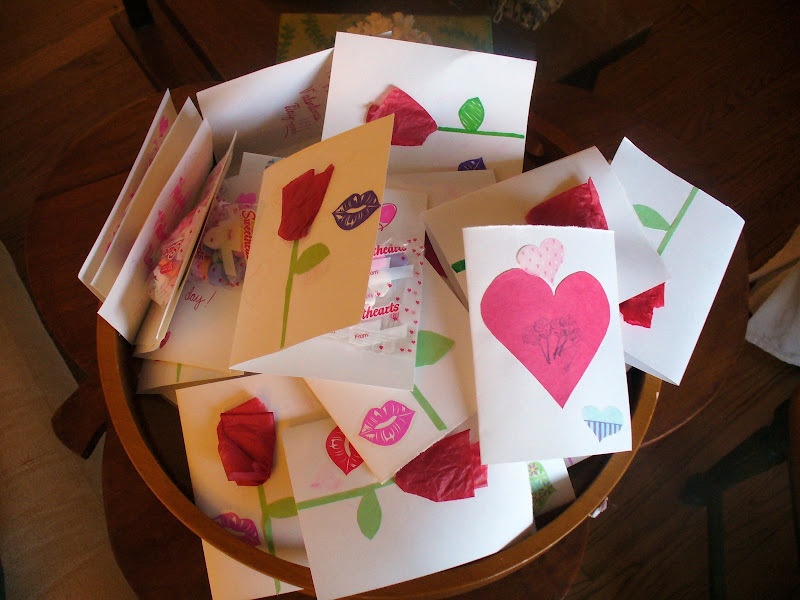 My daughter has always loved making Valentine's Day cards - here's the bounty from this year! Of course, I feel the pictures don't do these justice, especially the roses that she crafted from tissue paper. Hoping you're having a terrific Valentine's Day!! Hope you are, too! Thank you for the lovely blog! Your daughter's Valentines are wonderful works of art! Happy Valentine's Day! Your photos made me wish I'd taken the time to make some Valentine's this year! awww...too cute! 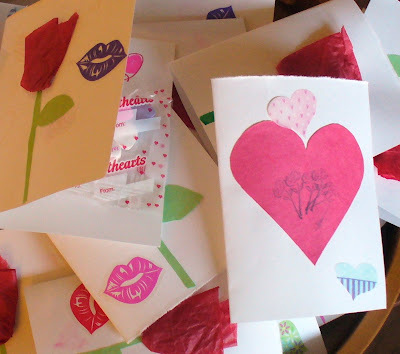 remember the envelopes we used to tape to our desks in elementary school, to receive valentines? Hope it's a nice day for you all. Hope you had a wonderful day as well! Your daughter's Valentine's Day cards are lovely and really took me back to the day. So beautiful. What a little artist! I think that child art is exquisite, so un-self-concious and spontaneous and pretty. Love the tissue roses! Looks like you have a little artist on your hands - having artistic ability is such a gift! Happy Belated Valentine's day. Those valentine's all look so sweet. I love homemade cards. I rather fancy anything and everything crafted from the heart and home. You are a wonderful mother to instill the love of hand-made. Please tell your funny valentine, she is one crafty gal! the tissue paper roses are so charming! how creative.